A carte-de-visite portrait of the actor, dramatist, teacher and theatre manager Henry Gartside Neville (1837-1910). Neville began his career playing dashing juvenile leads, later specialising in Shakespearean roles, modern comedy and melodrama. His most famous role was as Bob Brierley in Tom Taylor's The Ticket-of-Leave Man. 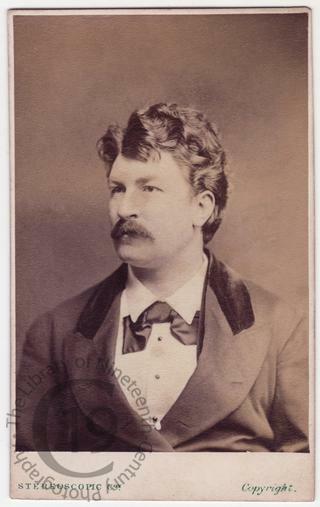 As the manager of the Olympic Theatre from 1873 to 1879, he presented numerous successful productions. In later years, he became a respected character actor. Photographed by the London Stereoscopic and Photographic Company.